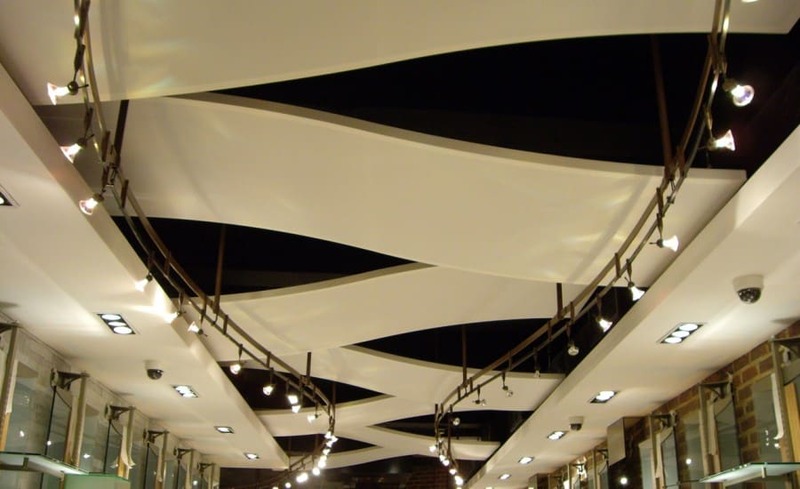 After the successful installation of the curved ceiling panels at a well known footwear retailer in Westfield London Architen Landrell was contracted again to fit out a new store for the same company in Covent Garden, London. The store now features 7 wave panels suspended from the ceiling which attractively conceal the shops services. 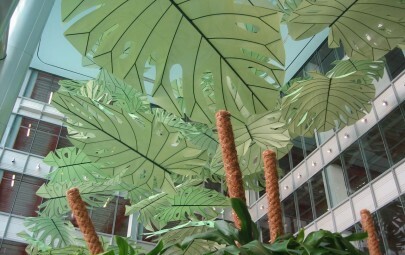 Unlike the original installation at Westfield, there was no raft down the centre of the ceiling, therefore our panels spanned the width of the room. The architect decided to have the panels installed in a different style to create a different picture. 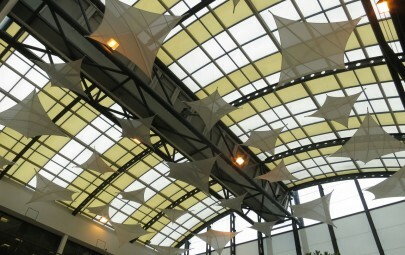 Lights were also installed to bounce off fabric and gently illuminate the space below. 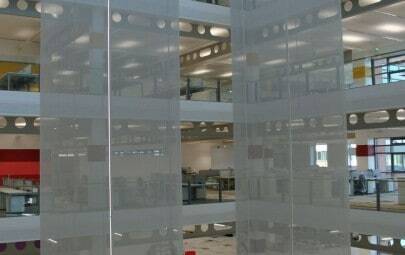 This project was a fast track job which followed on from the successful installation at Westfield. However, this meant little time was allocated for design and manufacture. As the design had largely been completed prior to the order being placed, it was only manufacture which needed to be fast tracked to ensure some time was left for installation. Access was a slight problem and the site team had to deal with some last minute changes, including the panel layout, in order to complete on time. The client was very happy and although we had to change the layout they still got the effect they required. Ultimately they were impressed that despite a short time frame, the panels were designed, manufactured and installed on time and with minimal disruption.